The Aqualung Dive 7mm wetsuit is heavy-duty, comfortable and reliable suit, perfect for use in the UK in warmer temperatures. 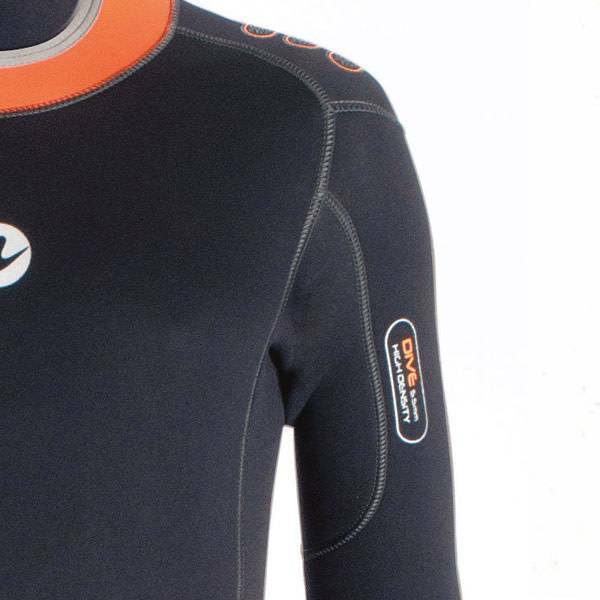 High stretch neoprene is used throughout with a soft inner fabric for ease of donning and doffing. Outer fabric is a tighter weave making it more hook and loop resistant. 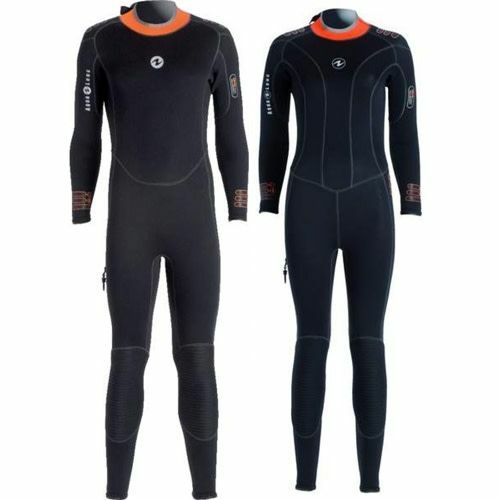 Comfort is a key factor of this wetsuit which comes with pre-bent anatomic legs and arms and durable and stretchy knee pads. Ultra stretch wrist and ankles provide additional comfort and ease of use. A spine pad is integrated as a component of the three-way zipper seal and a hook is provided to stow the matching 5mm hood when out of the water (sold separately). The skin-in neck seal provides the diver with comfortable stretch and seals and has an easy-close hook and loop system. The wetsuit has a heavy duty non-corrosive durable metal zipper and a three-way zipper seal which minimises water entry. The Dive 7mm wetsuit is available in both men’s and women’s cuts in a wide range of sizes and is a perfect entry level dive suit.